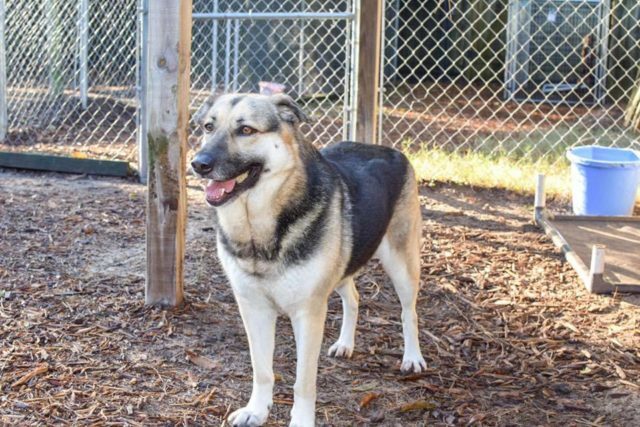 It has been 350 days since Marsha arrived at All 4 Paws Animal Rescue in Pawley’s Island, South Carolina. 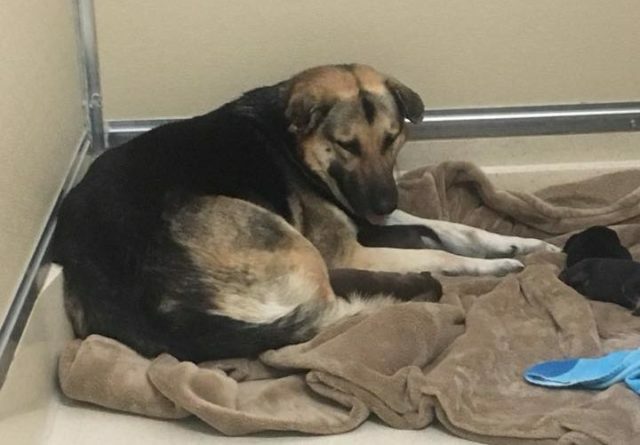 In just two weeks, this sweet Shepherd Mix will mark one full year in a shelter and begin 2019 in a cage. That is, unless her forever family comes along first! When Marsha was rescued last December, she was accompanied by two adult dogs later determined to be her children. What All 4 Paws didn’t know was that this dutiful mama had a secret to share. It turns out her pudgy belly was housing four more pups! Once weaned, they all found wonderful homes, as did her adult children. But poor Marsha was left behind. At just 3 – 4 years old, this gorgeous gal has been through a lot. Her friends at All 4 Paws discovered she was heartworm positive and suffering from severe infections in both ears. The problem had been going on so long her silky ears became gnarled with scar tissue. 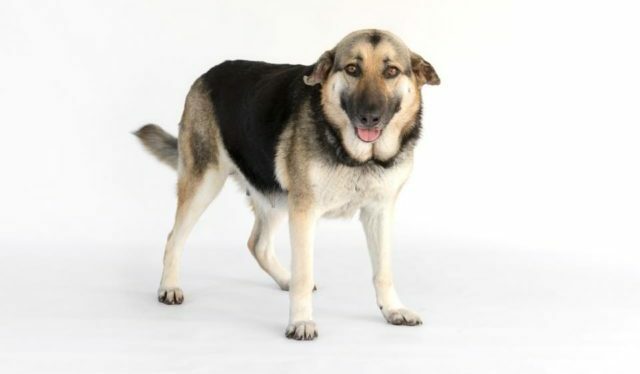 Thanks to the remarkable care of the shelter’s medical team, Miss Marsha is now heartworm negative and only requires once or twice weekly ear cleanings. The scarring to her ears is permanent, but it only adds to her adorable charm! Over the past year, Marsha has become a favorite among the staff and volunteers at All 4 Paws. Each day they shower her with love, long walks and plenty of play time. But all the special care in the world cannot equal the comfort and joy of her own forever home. 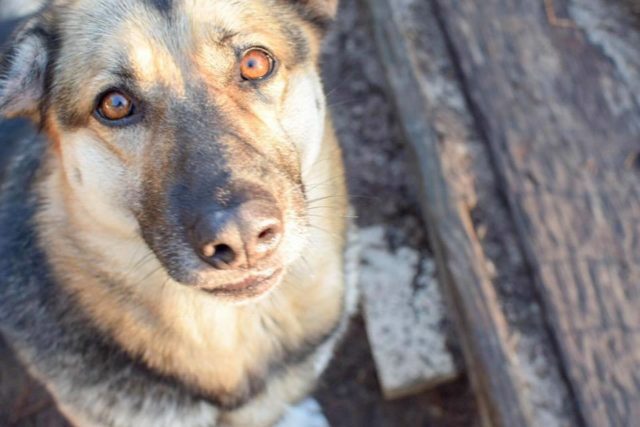 While she is great with cats, Marsha would prefer to be an only dog. Guiding her pups through the wilds of rural South Carolina has left her protective and a bit reactive with certain dogs. Besides, after years of raising children, she’s ready to have all the attention on her! Marsha’s tentative behavior with dogs definitely does NOT extend to children! She loves tiny humans just as much as big ones. She is so sweet and gentle with kids, shelter staff often choose her to participate in their Tales for Tails events, where youngsters read stories and cuddle with adoptable pups. According to All 4 Paws’ Adoption Coordinator, Amelia Davidson, Marsha “bonds intensely with her humans.” She is eager to please her two-legged friends and responds well to positive reinforcement. This intelligent gal is perfect for an active person or family who will keep her mind and body well-exercised. 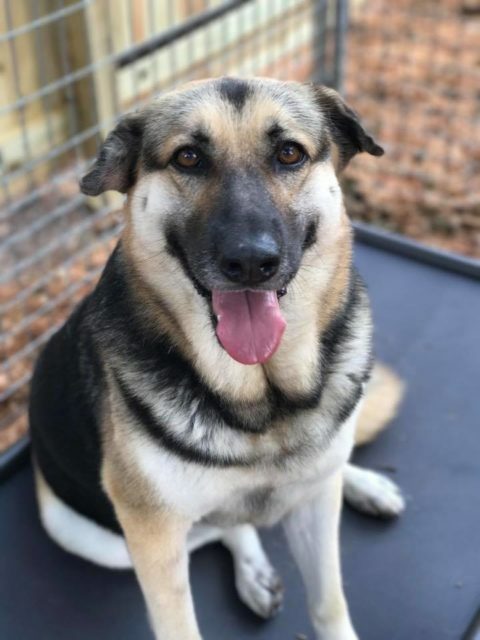 Marsha’s friends at the shelter would love to find her a home in the local area, but are not opposed to considering out of state adopters if they are willing to travel to SC to meet her. Could you be the lucky person to ring in the New Year with Marsha? Check out her adoption page or fill out an application now. Want to learn more about this fabulous pooch? Email Adopt@A4PSC.org. Even if Marsha is not the right fit for you, please share her story to help her find the perfect home. And don’t forget to check out the rest of her adoptable canine pals here!